We will focus on reading some highly praised contemporary African fiction written in French in this year. The books we have selected are Casting Sauvage by Hubert Haddad, Revenir by Jean-Luc Raharimanan, Triste Jeunesse by Mohamed Nedali, Lalana by Michèle Rakotoson and Festins de la détresse by Aminata Sow Fall. Below, you will find more information about the books selected and links to find out more about the authors. We hope you’ll join us in reading the books with us. Do get in touch and feel free to add your comments to this reading group page. We’d also love to see you at our meet-ups around the UK and North America too! 1. To read the whole book, you please order the books yourself from a shop or library. If you have trouble finding a title, we may be able to lend you a copy – email info@andotherstories.org to be put in touch with the organiser, letting us know where you live. 2. Read the books, then add your thoughts online on the author pages. 3. Come to a meet-up organised by us to discuss what we have read. You can be sure of lively, well informed discussion. Meet-up dates to be confirmed. Email us at info@andotherstories.org and mention where you live and we’ll put you in touch with your nearest group organiser. Did you publish the lists for the African francophone and lusophone reading groups somewhere already? Thanks for the interest. The (this time all-Brazilian) Portuguese-language reading group list is up now; the Francophone African group’s list is just being finalised. Do email me (stefantobler@andotherstories.org) if you’d like to suggest a book to read, or would like to join in! I was just wondering if I have to do anything in particular to register for this reading group or whether I just join in without registering? You can simply join in with reading along, but if you’d like a copy of something to read, you can email info@andotherstories.org, letting us know where you live, and we’ll put you in touch with your local organiser of the group. You can also check in here or in our monthly e-newsletter to find out about upcoming meet-ups. Hello. I’d be interested in joining the French reading group, please. Great, Anne-Marie! We’ll put you in touch with the organisers soon. Hi, I’m interested in joining too. Looking forward to reading! Great! The organiser will email anon. I hope to be able to take part in the French Reading Group (slightly belatedly). I’m based in Oxford. Great news! More by email. So I just finished Festins de la détresse. For all the distress, it often made me teary with joy. The complicity between Maar and Kiné was touching, and there was such love and respect in their family it sometimes felt like a Senegalese Waltons. I loved the generosity of the storytelling – the way there were no ‘minor’ characters because each one came with a story, and no ‘baddies’ because enough backstory was given to create sympathy even with characters who first appear in a bad light such as Weurseuk. I never felt lost despite travelling across minds, space and time; the transitions were super smooth. Moving back and forth also helped create a feel for the ties binding the community, and to show how these ties could be a source of suffering but also of strength and a force for good (for ex. for Sarata). I loved the economy of the writing, especially the stage-direction style descriptions, and the way big themes like the tension between values and ambition also played out at a personal level, with Biram and Gora struggling to find solutions in their different ways. The ending was sad but seemed to open out to the future, because by then the novel had shown there was enough wisdom banked up to give hope. A wonderful read. Thank you for introducing me to it. I’m looking forward to the others. Hello! Am interested in joining the group, having enjoyed Casting Sauvage. London based and keen to be involved! Great to hear from you, Jess! I’ll put you in touch with Kathryn, the group’s organiser. 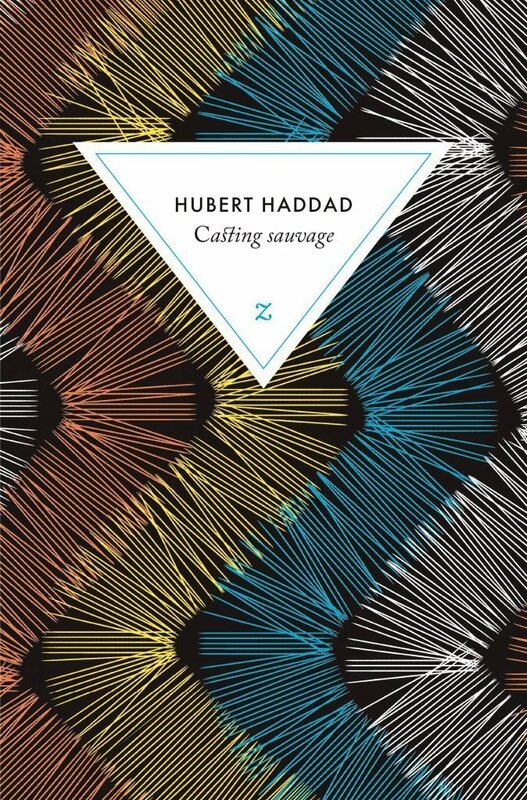 Casting Sauvage: another great read. I went at it greedily for the sparkling prose (my fave: “la masse vitreuse d’une averse se fracassait d’un bloc contre le macadam”) and philosophical statements (“la rue pullule d’étoiles anonymes”, “les hasards de la vie nous apparient même au chat de gouttière”, “les désespérés ne détestent pas l’aventure”, “le passé est l’haleine des morts”). I loved the bird and animal imagery, and seeing Paris teeming with life, and death, and survivors. The story steered clear of nonsense about the city of light/romance, and though in a few places I drew back at the faintest whiff of cliché (‘Does the female protagonist have to be pretty?’, ‘A houseboat and an ex-actor/artist – really?’, ‘Isn’t Deux Magots for tourists?’), this must be one of the best character studies of Paris. I’m full of admiration at how the text brings together dark moments in Paris’s past and present, and yet somehow we come out dancing. I must see that film, La Douleur – I wondered if it was the film for which Damya was doing the casting sauvage. 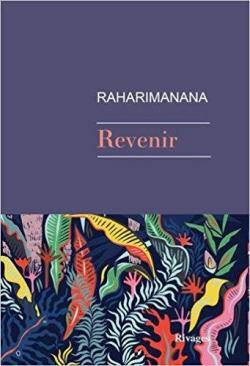 Revenir: of the three books I’ve been lucky enough to read with the French reading group, this one was the most challenging. The length was daunting (certainly for someone whose favourite lit. fix is a short story) and the sensational, densely poetic style made for a demanding read. Even gentler passages kept me on my toes with the notebook structure and switching of voice, person, setting and character. I was quickly shocked by my ignorance of Madagascar’s history, and while I was grateful to learn more, some of the subject matter was so horrific I had to put the book down. References to the mysterious feminine force of “Elle” sometimes irritated me and I never quite managed to like the protagonist who seemed too enchanted by his own legend but the more I read, the easier reading became, and by the end I felt I’d read something excellent and important. I’ve just finished reading “Revenir” and I loved it. I was hooked from the first couple of pages. I knew next to nothing about Madagascar’s history (although my teenaged son, who is a bit of a war history buff, was able to fill me in when I asked) or anything else about the place really. Part of the book is narrative and tells the story of Hira’s growing up. There are passages filled with sheer joy and vitality. You really get to know this child and his family. Other sections of the book are darker, less structured, harder to read and show you what the impact has been on that child of the trauma he has lived through. Some of the passages are heartbreaking as you are brought face to face with the Rwandan genocide as well as the conflict that ripped Madagascar apart. It’s not an easy read for the beach but it is beautifully written and gets you right inside Hira’s head. I am very glad to have read it and would certainly look for other work by this author. Thanks for your thoughts, Anne-Marie. I’m sorry you couldn’t make the meetup this time, but with good cause, I hear! We’ll send you the thoughts of everyone who could make it. This is the only one I didn’t get a chance to read at all before the meetup, but I have a copy now and am very much looking forward to it after your and others’ comments. This ‘dense and mythic’ novel follows two friends, Naivo and Rivo on a journey from the capital Antananarivo to the sea, a trip that is almost a pilgrimage for Rivo, who is suffering from AIDS and has never seen the sea. Haunted along the way by their ancestors and by the ugly present-day social and environmental realities of their country, they continue in search of dignity, redemption and peace. Inspired by the myth of Orpheus and his journey to the underworld, Rakotoson’s mastery of Malagasy oral storytelling lends an intoxicating musicality and rhythm to this work which painstakingly traces the limits of reality and fiction, life and death, tradition and modernity. 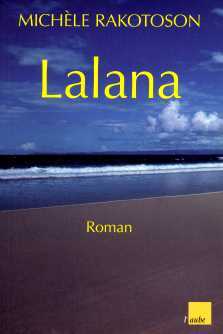 Not only have readers, critics and author herself have hailed Lalana as her best, most beautiful work, the novel also demonstrates her engaged activist sensibilities, as she was the first artist to address the 90s AIDS crisis in Madagascar. 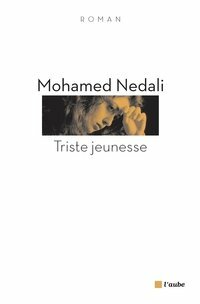 Triste Jeunesse (Sad Youth) is the chronicle of a simple love story gone awry. Its chief protagonists are Houda and Said, two science students who meet at the University of Marrakech and decide to plan a modest life together. Following their failure to navigate the country’s corrupt institutions and graduate into well-paying jobs, they are driven by poverty to take up work in a guest-house frequented by Western tourists, where Houda and Said’s relationship is slowly but surely torn apart by a series of events that depict the unfortunate situation of many of Morocco’s young people. Tasked with casting one hundred extras to play deportees in a film adaption of Marguerite Duras’ war memoir La Douleur, Damya wanders the streets of Paris. Her lively presence and gaze transform each fleeting exchange into a meaningful encounter with another person, whether it is the walker who keeps time only by the wearing down of his shoes, or the street juggler who resembles one of Fellini’s clowns. But in the maze of the city, Damya is clinging on to the mad hope of finding again the boy from a tragic missed connection one November evening, whose memory haunts her. This intense and serious novel is a magnificent journey through Paris, the city of a thousand faces inhabited by memories and those who relive them. 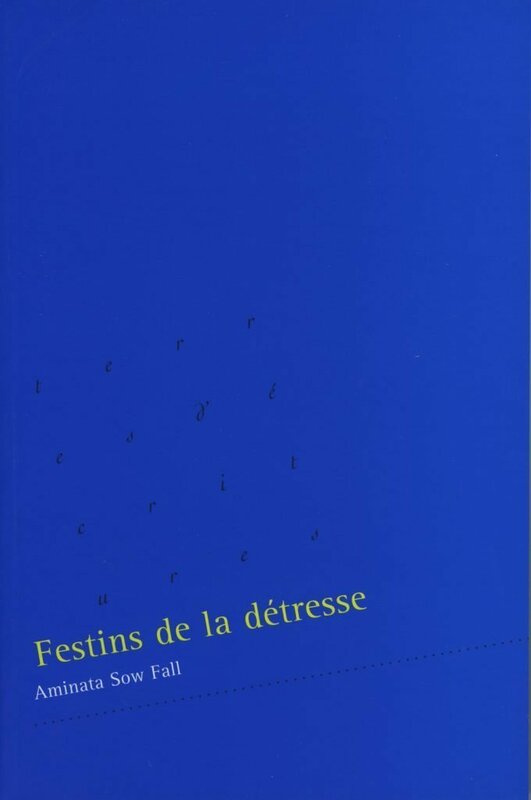 Festins de la détresse (2005) proposes an interesting insight into contemporary Senegalese society through the lives and interactions of a closely knit family that spans four generations. Maar, the central character, is a retired teacher with two adult sons who find it hard to gain employment in spite of their determination and excellent qualifications. That situation gives rise to much angst, desperation and various attempts to escape the systemic failure of Senegalese society. Drawing on the complex memory of African song and tradition, Aminata Sow Fall wishes in this novel to ‘change the belief that food and material things are the only things necessary to survival and to demonstrate the importance of creativity and spirituality. They are perhaps even more important than material needs, which are not enough to support the dignity of the human being’. For Hira, writing is not only a refuge where the lost poetry of his childhood can be reborn, but it also becomes necessary for speaking resistance and denouncing terror. A feverish hymn to hybridisation and to peace, this almost autobiographical novel of entangled individual and collective histories is a declaration of love for Madagascar, for literature and for life.